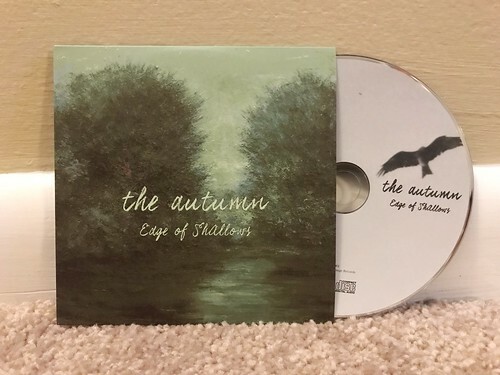 The Autumn are another in what seems like an endless list of great melodic punk rock bands from Japan. This is yet another album recommended to me by Kazu from Waterslide. I really don't know what I'd do without him. There is absolutely no way I would be able to keep up with the never ending deluge of releases that are coming out over there. I just wish I had the money to buy even more than I do. The Autumn definitely put the emphasis on the melodic side of the melodic punk description. I wouldn't go so far as to say they have emo tendencies, but the songs are slower in tempo and more deliberate in their execution. That doesn't mean that there are any shortage of great guitar riffage or catchy hooks, you're just not going to find the same sort of thing that you would find in one of the poppier punk bands that I tend to like. In a lot of ways, the songs reminds me of the slower songs on the Leatherface album The Stormy Petrel. The vocals are obviously completely different, but the tone of the songs have similarities in structure and their overall emotional weight. There's something about The Autumn, much like Leatherface, that just feels important.